Saxton & Stump announced that Judge Lawrence F. Stengel (Ret. 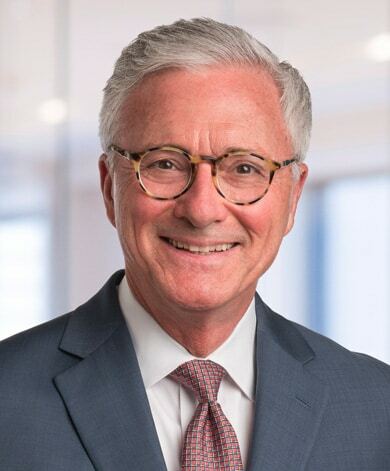 ), current shareholder and former chief judge for the Eastern District of Pennsylvania, has been appointed to the board of directors of Pennsylvanians for Modern Courts (PMC). PMC is a statewide nonprofit, nonpartisan organization dedicated to ensuring that all Pennsylvanians can go to court with confidence that they will be heard by qualified, fair and impartial judges. This organization was created out of a desire to improve judicial ethics and increase confidence in the judiciary after a 1988 report from the Pennsylvania Judicial Reform Commission revealed that confidence in the judiciary was very low. Of the judicial reforms spearheaded by PMC, the merit selection of appellate judges is the most noteworthy. Thisreform advocates for the selection of qualified and competent judges based on merit rather than through partisan political elections or the influence of money. PMC also advocates for judicial modernization and reform. They inform the public about judicial elections, the electoral process and the judicial discipline process. PMC hosts several programs – PMC In the Community™; The Media, the Courts, and the Counsel Initiative™ and CLE Programs. PMC in the Community™ is a series of community outreach programs intended to keep the public educated and provide equal access to justice. The Media, the Courts, and the Counsel Initiative™ provides educational courses to journalists to develop their relationship with the courts and provide greater familiarity with court proceedings. PMC also provides a broad range of timely CLEs which can be found on their website.